Identifying a dormant tree is not nearly as complicated as it might seem at first glance. Winter tree identification will demand some dedication to apply the necessary practice to improve the skill of identifying trees without leaves. But if you follow my instructions and use your powers of observation you will find a pleasurable and beneficial way to enhance your skills as a naturalist - even in the dead of winter. Learning to identify a tree without leaves can immediately make your growing season trees easier to name. Don't be fooled into thinking that a twig key is the only answer when identifying a dormant tree. Your overall observation skills and sizing up a tree will be invaluable even as the twig key is tucked away in your warm library. A tree's crown can give you valuable clues to finding a tree's botanical name by unique crown shape, fruit and/or their leftover containers, persistent leaves, live twigs and growth habit. Get to know a tree's characteristics or "markers". To use a tree twig key means learning a twig's botanical parts. A key can help you identify a tree to the specific species by asking two question where you can affirm one and eliminate the other. This is called a dichotomous key. Become familiar with a tree twig's characteristics. 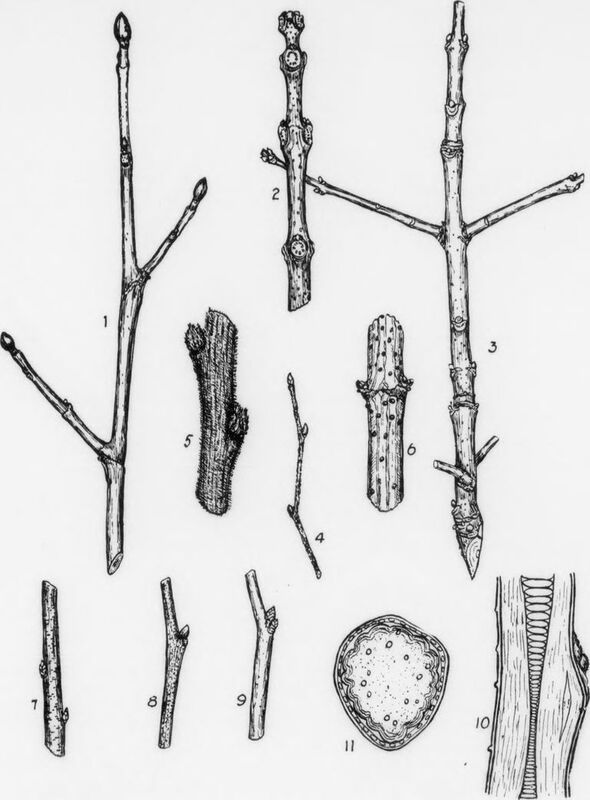 Most tree twig keys start with the arrangement of leaf, limb, and buds. Determining opposite and alternate arrangements is the primary first separation of the most common tree species. You can eliminate major blocks of trees just by observing its leaf and twig arrangement. Identifying a dormant tree can be a visual challenge. Visit the gallery of winter photos that illustrate many subtle botanical clues exhibited by dormant trees. Naturalist Josh Sayers has developed his Portrait of the Earth website which hosts a great photo resource for identifying trees in winter. 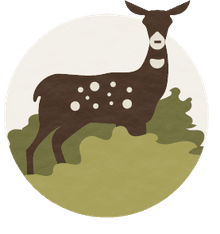 It may help to use this site as you learn about trees and their dormant parts.